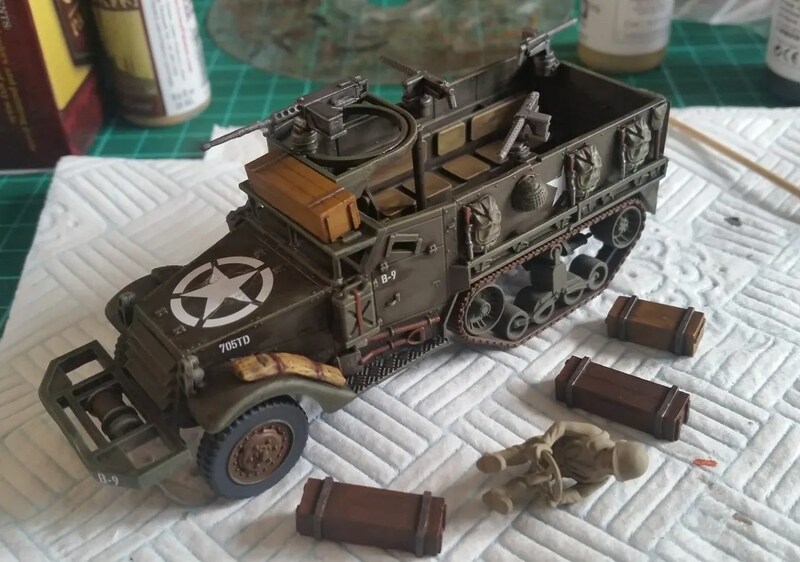 I’ve had a chance to finish building and start paint work on an M3A1 US Half-track transporter. I wasn’t sure if the points price of the extra MMGs on it would be worthwhile in game, so I sorted out a magnet system so the 3 guns can be removed for any configuration. Not quite a historically accurate gun attachment but it doesn’t look too bad. You can see the magnet system pretty clearly on the unpainted version here. It also makes packing it away in a case a lot safer without all the guns poking out. Nearly finished for the last 2 photos. 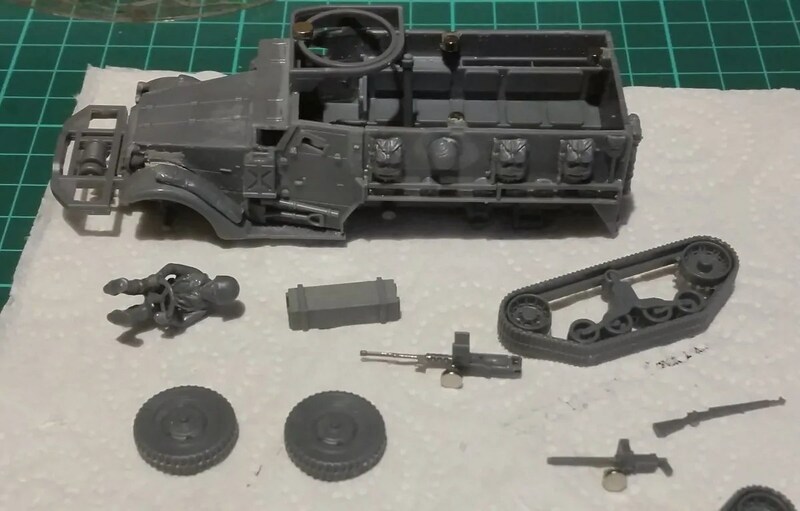 All that’s needed is the driver and a coat of varnish. 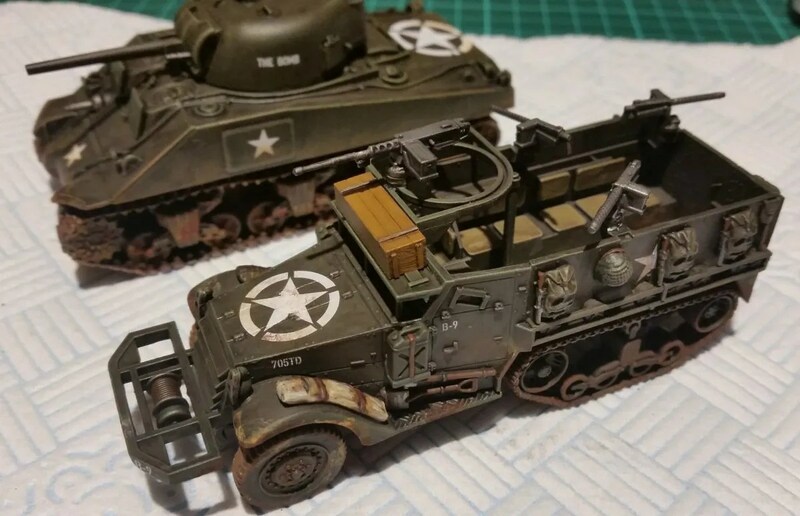 I’ve still not got the skill with the weathering powders yet to get the look I really wanted, but I think it will look decent enough for a game. Now I just need the humidity to drop (and the thunderflies to sod off) so I can varnish it safely and paint up the driver to glue in. 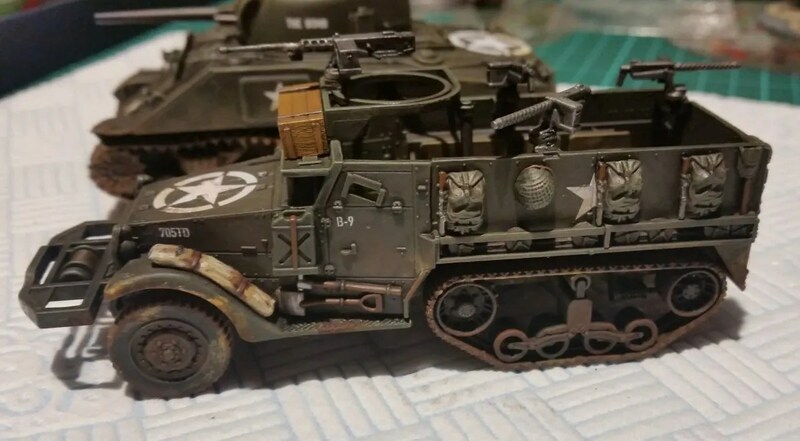 Hi, I have to say the paint job on that half track is fantastic and I really like all the extra detailing and equipment you have added to it. I have just started Bolt Action and hope to have my first game on Friday, I haven’t even finished building my army yet never mind paint it. I just hope my models will look half as good as yours once I paint them. As you’ve guessed, with any game I play, I have to buy, build and paint up 2 armies. With luck the Red Skull and Capt America will have my lad playing Bolt Action soon – saving my wife her sanity.